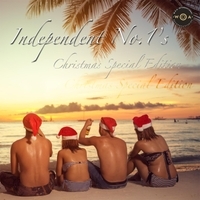 A special Christmas edition of the global bestselling annual compilation - The Independent No.1's. This special edition is the very first christmas special featuring the best Indie Christmas songs that you just can't do without in your collection. Hattie Craven & Frank a Dicker, Sr.
With artists like EVER-G, DeDe Wedekind, Kevin Fisher and other fantastic artists on this compilation - this is one for your collection.